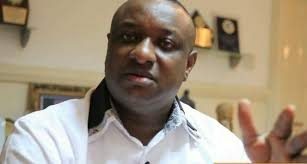 	Buhari Campaign spokesman Keyamo describes PDP’s coalition as mere deceit – Royal Times of Nigeria. Spokesman of the Buhari 2019 Campaign organisation Mr. Festus Keyamo (SAN), has dismissed the PDP’s alliance with over thirty political parties as “pure deceit and a laughable desperation. The PDP’s coalition announced a new name – Coalition of United Political Parties (CUPP) on Monday when they met at the Musa Yar’Adua Centre in Abuja, the nation’s capital. The announcement followed the signing of a Memorandum of Understanding (MoU) by the leaders of the merging parties, in their bid to defeat President Muhammadu Buhari’s All Progressives Congress (APC). Some aggrieved members of the All Progressives Congress (APC) who broke out of the ruling party to form the Reformed APC, including the lawmaker representing Kogi West, Senator Dino Melaye, were among those present at the event. Speaking last night, Keyamo said PDP has only succeeded in registering a few more members into its fold. He noted that it is not a ‘grand coalition’, but just membership drive. Faulting the way the coalition came into being, Keyamo said it is only the national convention that can approve the merger of all of those 37 political parties. Coordinator of Buhari Support Group (BSG) Senator Abu Ibrahim, said “no coalition will stop Buhari”.